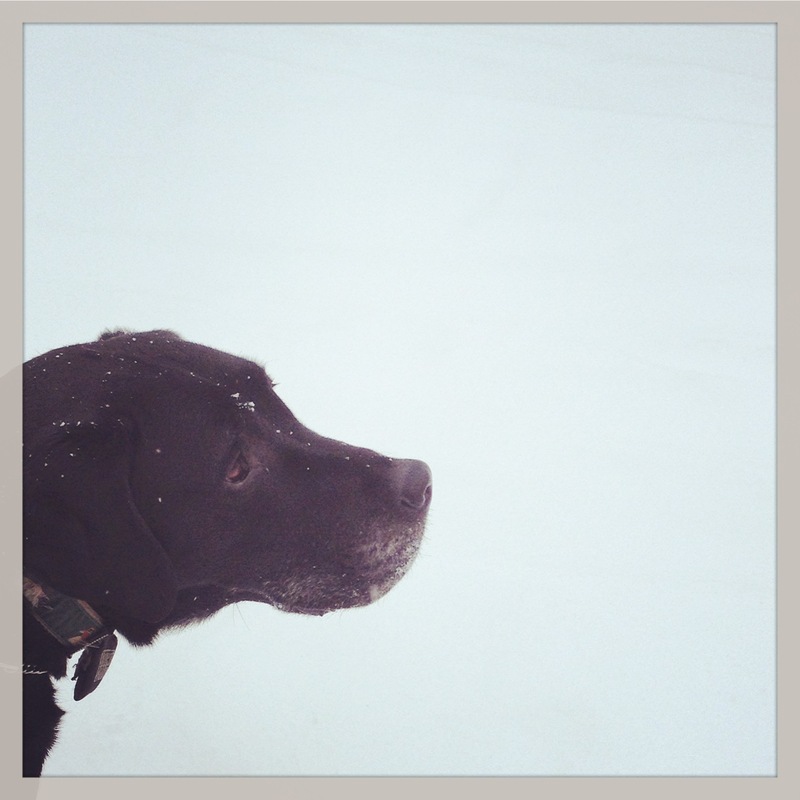 1) The week my husband went out of town, it snowed. And snowed. 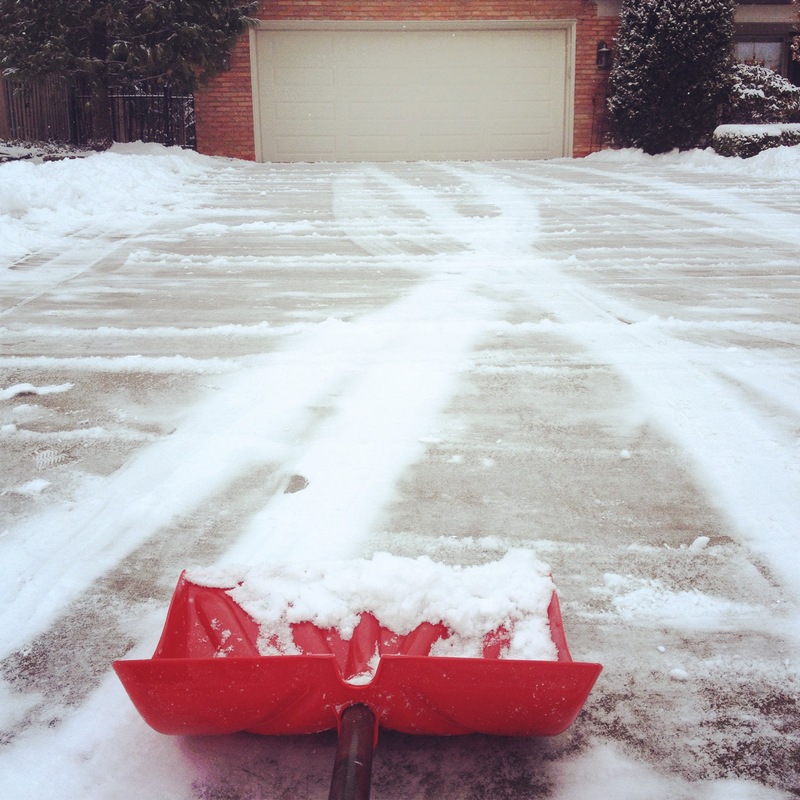 I shoveled three times and I have to admit, I kind of enjoyed it. Don’t even try to “just you wait” me. I get that six weeks from now when it’s below 10 out and there’s a driveway piled two feet deep of dirty, heavy snow, I will hate it. Might hate it. But I don’t hate it yet. Nah-na-na-boo-boo. 2) You know you’re getting old when your three-year-old beats you at a matching game (aka memory game) and you were actually trying to win (we’re competitive up in this house). 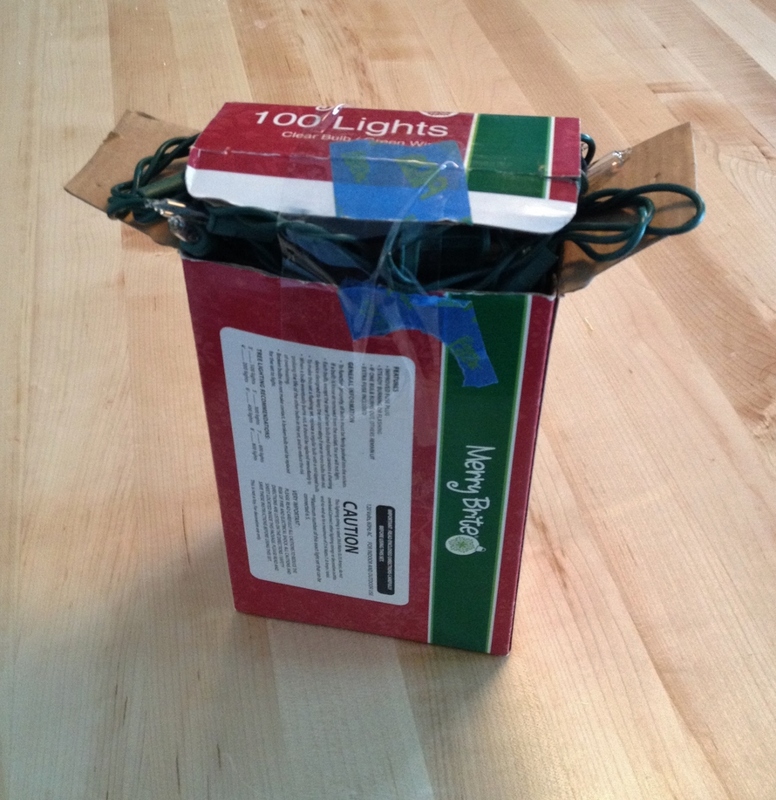 3) Is it just me, or do the freaking Christmas lights never fit back in the box? Mine always end up looking like this (and that’s one of the better ones). Why don’t I just do away with the boxes all together, you ask? Couldn’t tell you. Speaking of Christmas lights… it’s the beginning of February, people. The baby Jesus wants to go home. Shut ‘er down. 4) Checked out the Detroit Auto Show with some friends. I haven’t been to a car show since junior high, when my Uncle used to take me. I love anything shiny and sparkly, so I enjoyed the whole showy-ness of the whole thing. 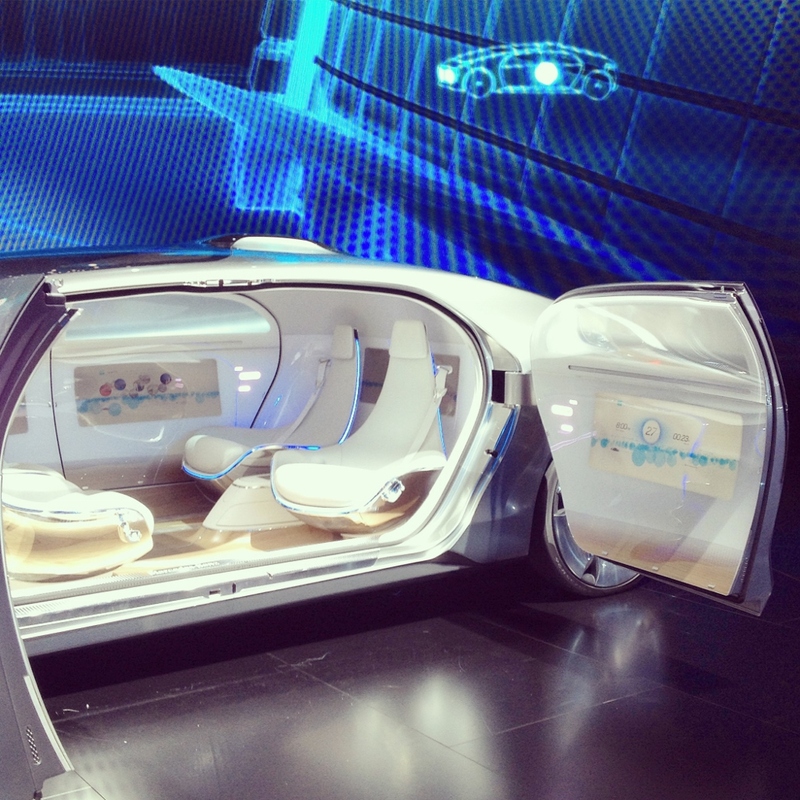 The driverless Mercedes car was very cool and they’re supposed to be ultra-safe (I heard an NPR segment), but….not sure I’d be able to fully relax. The concept does seem rather nice, though, no? 5) Our sweet, sweet boy Sammy turned nine this month. How can you not love this face? 6) When ordering pizza in Grosse Pointe, make sure to ask if they use fresh mushrooms or canned ones. Who even uses those? I don’t think I saw a canned mushroom my entire time in San Francisco. I’d actually forgotten about their existence until I lifted the lid on my pizza box. I’m not sure which word best describes my reaction. Disgust. Horror. Shame. Ick. 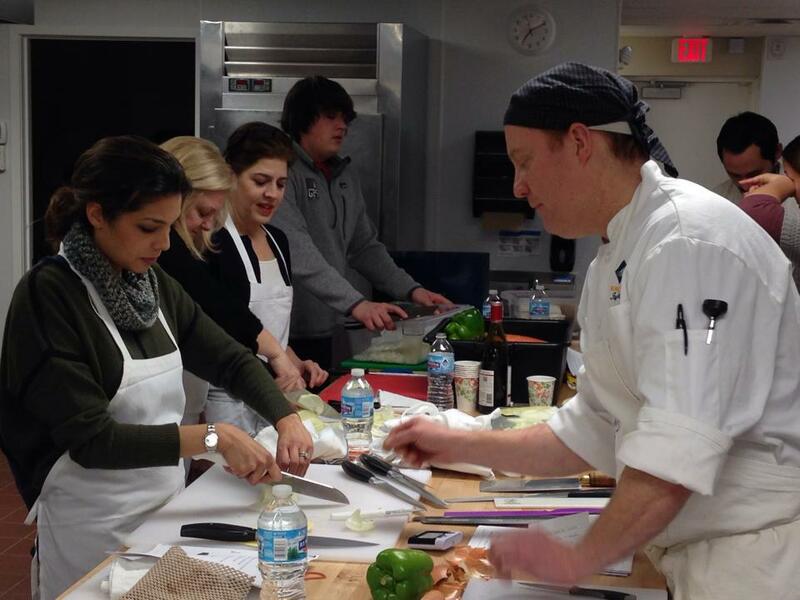 7) I took a knife skills class at Cornwall Bakery, a new spot in Grosse Pointe Park. I was the only person who came solo, so I felt out of place at the get-go. It was their first-ever class, so they still have kinks to work out (like timing. I had to leave before the fajitas were done), but the instructor was super nice and I did learn how to hold a knife properly (although my wrist! And my long, creepy fingers. Gah). 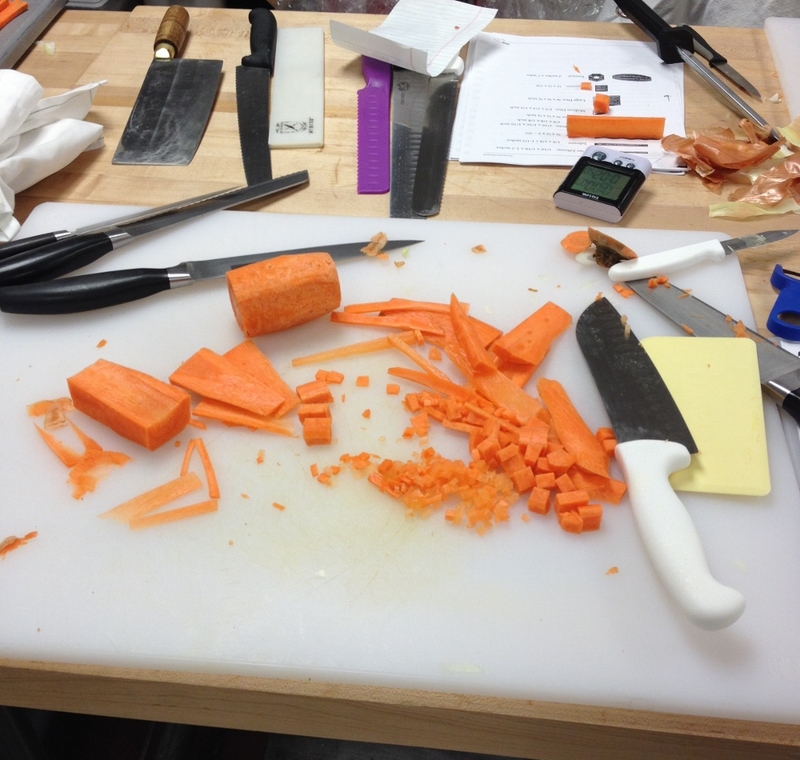 I wish I’d learned more about knives and the actual act of cutting vs. how to julienne a carrot properly, for example, but I’m glad I went. 8) AND! Oh my gosh I am just remembering because of this photo. One of the girls brought a bottle of wine and only shared it among her little group (there were eight of us in the class, five in her group). When that went down I was tsk-ing inside my head. San Franciscans do not roll like that. You bring wine, you bring wine for everybody, capiche? 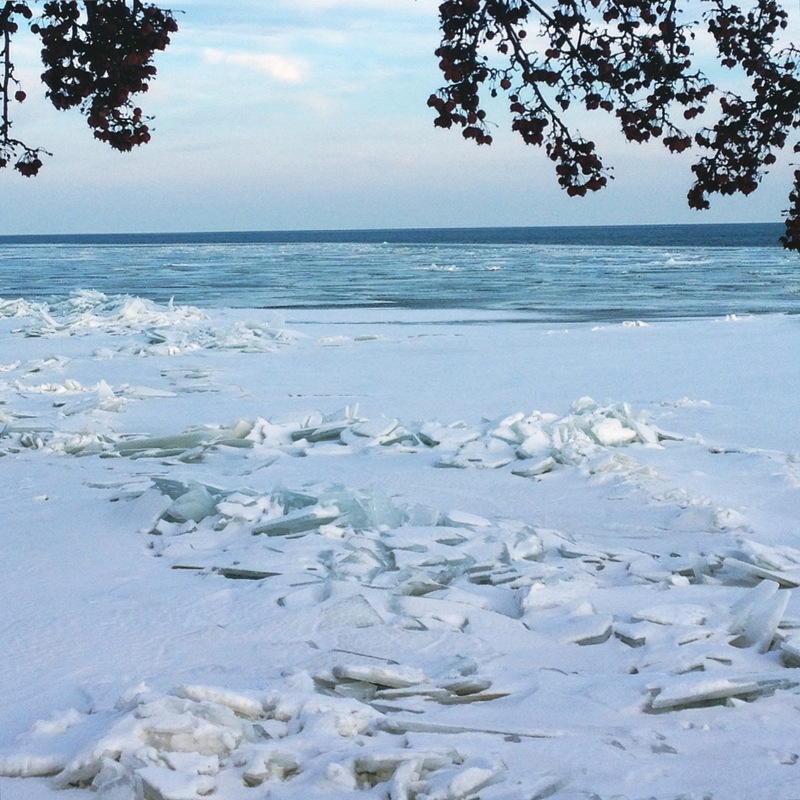 9) I love how the lake changes every day in winter. I’ll see beautiful shards of ice sticking out of the lake one day, and the next day they’re gone. Such a contradiction to the other parts of nature. While everything else is quiet and bare, the lake is very much alive. Pretty cool. 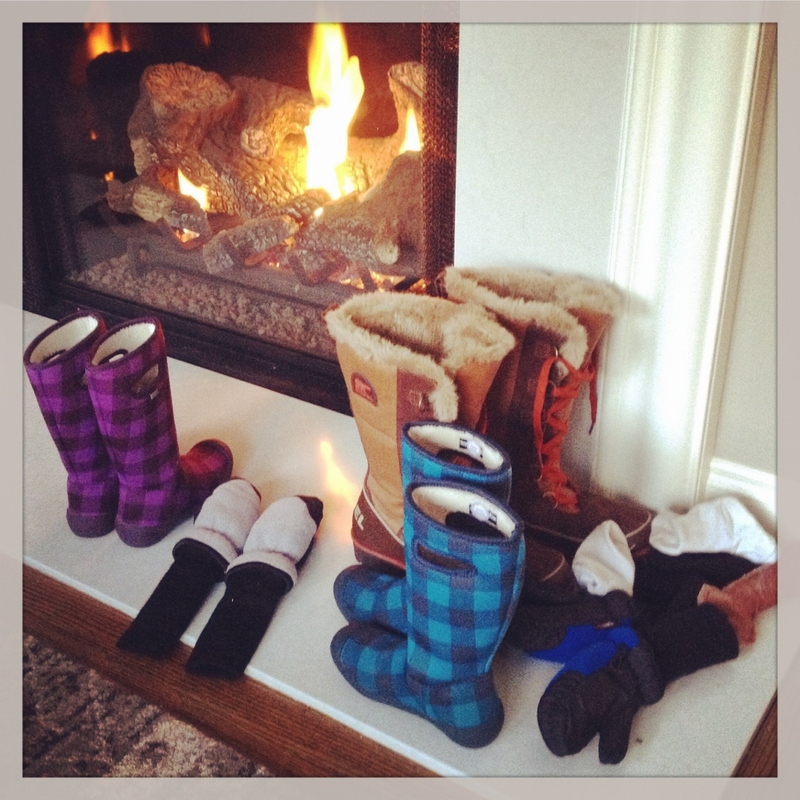 10) I love a fireplace. In San Francisco we had a faux fireplace (it had been covered up, but the facade was still there). We kept talking about opening it up and bringing it to life again, but it never happened. I love coming downstairs in the morning (okay, not really, because my brain is in a fog of sleepiness and one or both of the kids are trying to tell me something and the dog wants to eat and I have to figure out what to pack for lunch…but I digress)…and turning on the fireplace and keeping the kitchen lights dim while I make my espresso. It’s all very picturesque. Until the girls start fighting over who gets the turtle plate. Wah-wah. 11) Since I haven’t been able to find a restaurant here to satisfy my Thai cravings, I have decided to take matters into my own hands. Literally. My sorority sis recommended this book, which I bought a couple weeks ago. 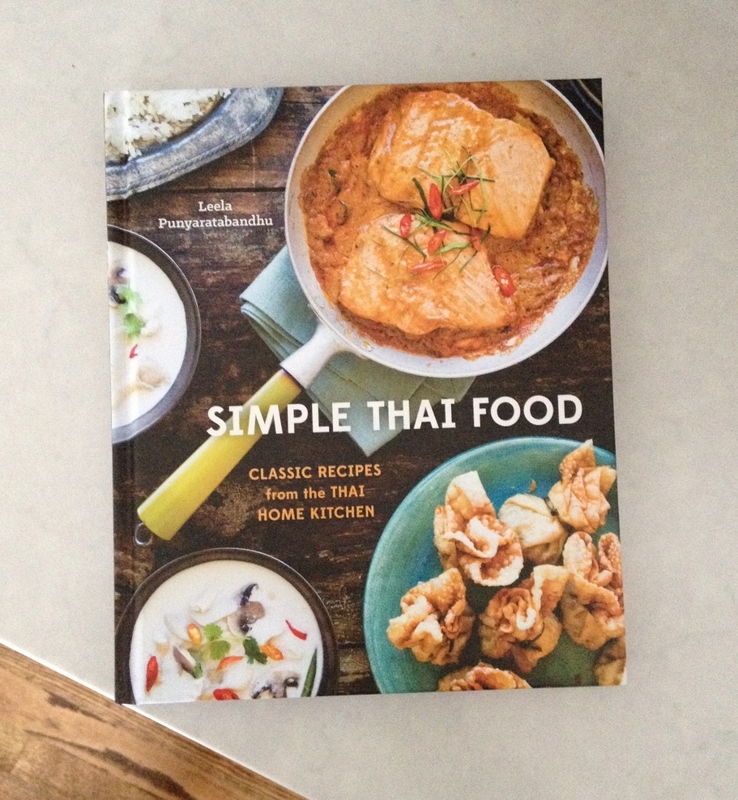 I’ve always been intimidated by Thai cooking (the ingredients! ), but desperate times call for desperate measures. Now where in the world am I going to find birds eye chilies? 12) I popped into Josef’s bakery the other day for a dry cappuchino and almond croissant (which they were out of. Had a chocolate-almond croissant instead. Not a good substitute). I started chatting it up with two older ladies (long story. someone dropped a spoon). They both thought I was 20-ish. Twen. Tee. I suppose that’s one good thing about being the only Asian in town? This entry was posted in Fun, Grosse Pointe and tagged 2015, Grosse Pointe, Humor, January, Lifestyle, Musings, News, Personal, Small Town, The List. Bookmark the permalink. Knife cutting class sounds so 1950s, but in a really lovely way. I need to take a cooking class/how to use these thing-a-magigs one of the these days, but I’m too embarassed since my mom is a wonder in the kitchen. I can learn through watching, right? Ahhh winter. Fireplace heat is the BEST heat and such a nice thing to just look at, isn’t it? I can’t say I miss shoveling snow, but snow is so much fun (except when it’s ice and you’re driving) so the novelity would probably just make me happy as all can be. Great read! 😊 try different sizes of plastic bags for your lights. They will never, ever go back in the box correctly. I think in time you will want a small snowblower. There are lighter versions with 2 cycle engines. The big lakes are so beautiful in winter, kinda miss them. You are becoming a Michigander! Yes, next year I think I am getting rid of the boxes – so dumb! My husband keeps talking about a snowblower and after this morning (did you hear about our big storm? ), we will probably get one soon. I do miss SF quite a bit, but Michigan is also very beautiful. I did read about the recent storm. One of my friends in Elba, west of Lapeer, sent me the weather report, keeps me updated. I like to compare the weather between where we used to live up there and here, major difference as you know. Was low 70’s today in Vegas!